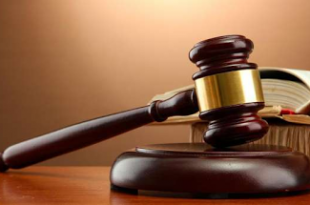 An office assistant, Ifeanyi Anyanwu, who allegedly absconded with his employer’s $12,000 (N4.3m), on Wednesday pleaded guilty to the crime in an Igbosere Magistrate’s Court, Lagos State. The News Agency of Nigeria reports that Anyanwu, 28, whose address was not given, made the plea when he was arraigned on one count of stealing. The prosecutor, Friday Mameh, told the court that the accused committed the offence while working with the complainant, Mr. Olalekan Salami, as a financial analyst. Mameh said the accused stole the amount at his place of work on Furo Ezimora Street, Lekki Phase 1, Lagos. He said the accused stole the money and absconded to Calabar, Cross River State, adding that part of the money was recovered from his girlfriend. According to the prosecutor, the offence contravened Section 287 (7) of the Criminal Law of Lagos State, 2015. NAN reported that the accused risked being jailed for seven years according to the Criminal Law of Lagos State. The magistrate, B. A. Sonuga, adjourned the case till October 31 for facts and sentence.